Home > Blog > Max! 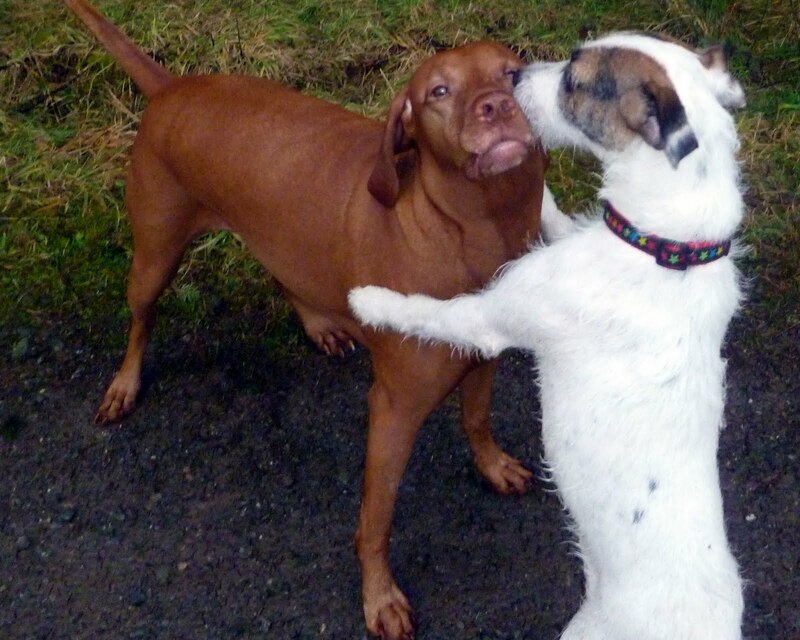 In this photo are my dog Holly and Max (a Parsons Jack Russell). However, steadily since then, his confidence has increased with each walk and until today I haven’t dared let him off the lead, then SUCCESS!! Max was off lead for the whole walk, he played and interacted with the whole pack beautifully, and the first time I called on him he instantly shot back to me. Happy Days 🙂 Welcome to the pack, Max, where we always have lots of fun!! PS He just LOVES Holly – excellent taste that boy!